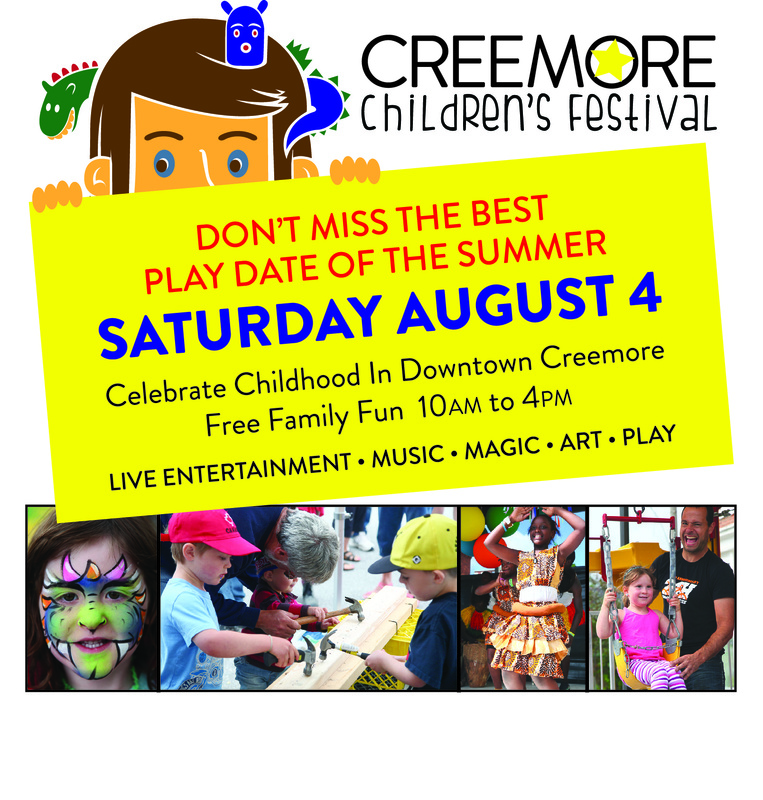 This year marks the 7th annual Creemore Children’s Festival. It promises to be bigger and better than ever. We are staying true to our mandate, to empower children by creating an event that is for and about them. The festival continues to maintain its roots by providing a unique, creative, thoughtful and intelligent experience that is free of cost to guests. A growing number of attendees each year results in an increased number of volunteers, activity participants and performances. Without exception, this year the committee has worked hard to contract some amazing performances, secure generous financial donors and sign-up various gracious street participants. As in the past, we will be closing off the downtown corridor of the beautiful tree-lined streets of Creemore and filling it with activities, events, demonstrations, live music and performances, along with some surprise guests. Everything is free to attendees, with the exception of food and items that may be purchased in our Children’s Maker Marketplace. We hope to extend childhood just a little longer. Cherish this experience in our fast-paced world. Don’t miss the best play date of the summer!